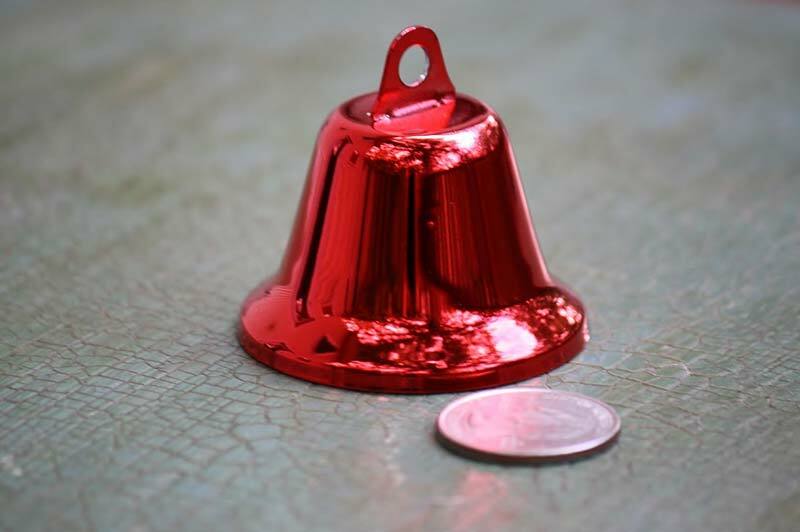 Made from nickel with a red gilt finish. 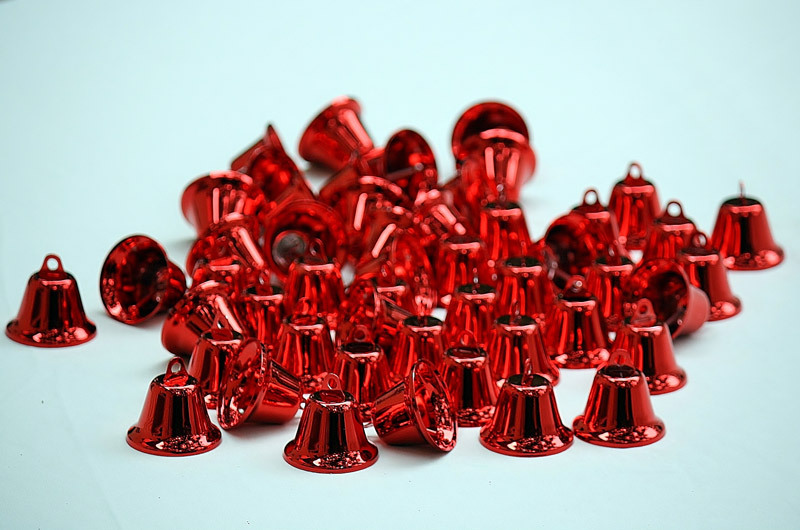 These large bells for crafts are great for all your spontaneous creations! Hang them high for decoration. Make them into Christmas ornaments for gifts. 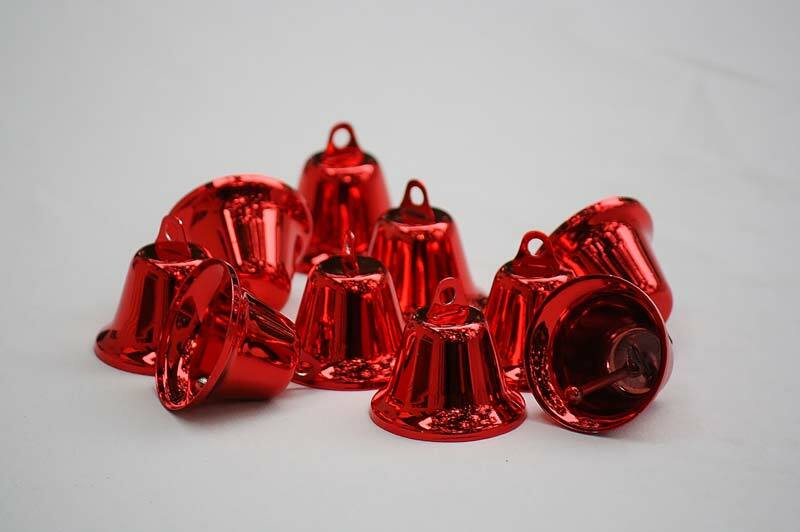 There is always a use for a bright red bell!